For more than a generation, “taking slides was part of becoming a landscape architect,” says Paula Horrigan, an associate professor at Cornell University (which I attended, though Horrigan was not a professor of mine). “It [was] your way of knowing the landscape and recording the experience.” Your slides were a window into your identity, and, unlike simple photographs, slides could be shared with large audiences. Today, digital photographs have replaced slides—both in offices and, increasingly, at the academy. Now a lot of people are digitizing and disposing of their slide collection. 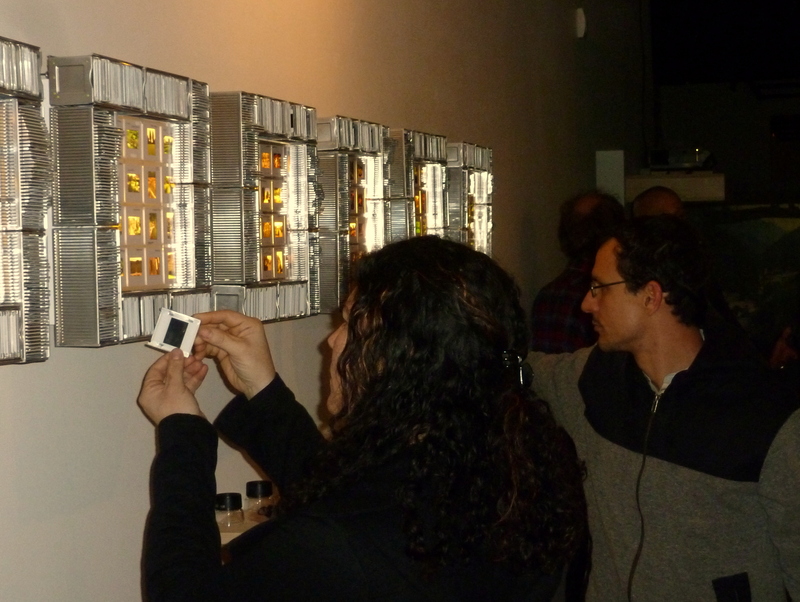 Forgotten Frames, an exhibit at Figure One Gallery in Champaign, Illinois, looks at how the slide framed the way we think about space and how unwanted slides can be given new life as a medium for creating art. 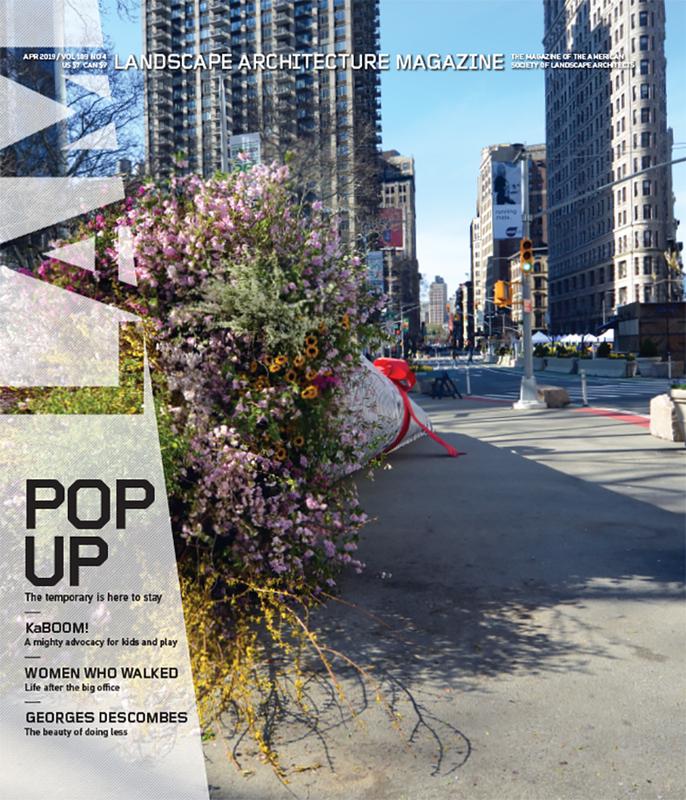 The exhibit was conceived in Los Angeles, during the last Council of Educators in Landscape Architecture (CELA) convention, by five landscape architecture faculty: Horrigan, Kathleen Kambic of the University of Colorado Boulder, Joern Langhorst from the University of Colorado Denver, Caroline Lavoie of Utah State University, and Joni M. Palmer of the University of Colorado Denver. 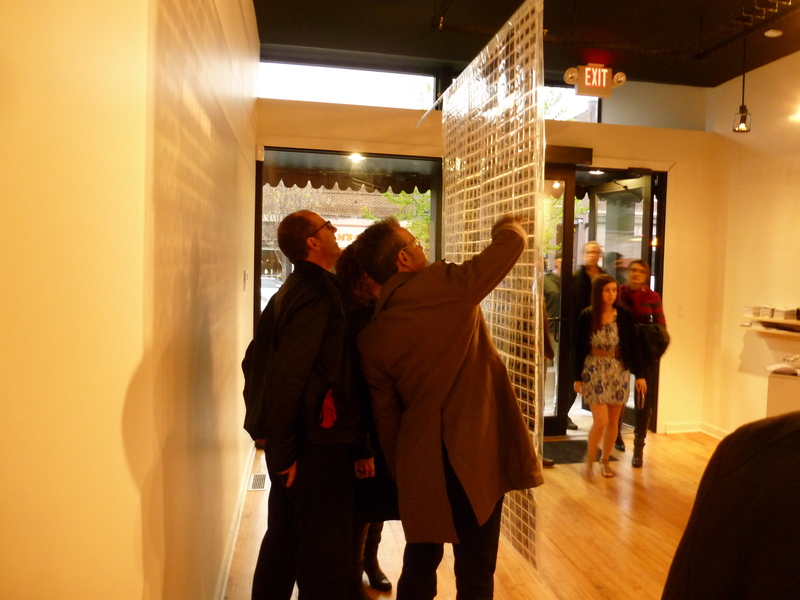 Forgotten Frames, which ran for three nights, filled the small gallery for its opening on Thursday. Here is a rundown of the works. 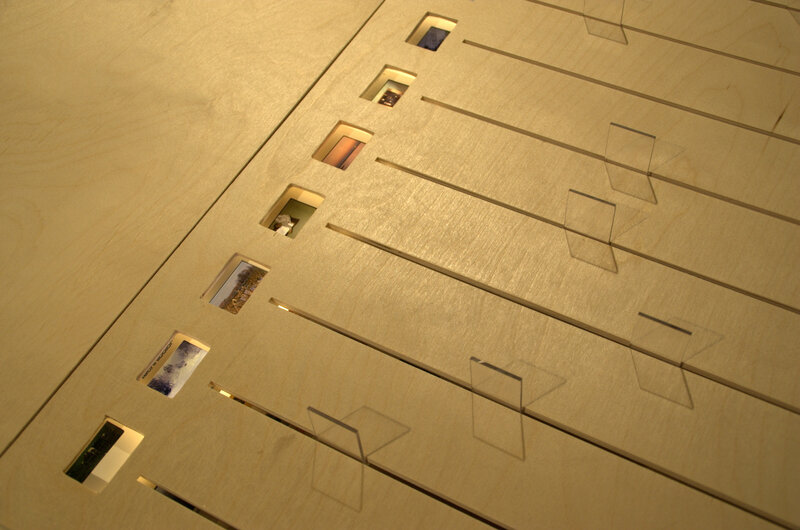 Frame Narrative by Kathleen Kambic seems to play on the word “slide.” As you slide the transparent tabs back and forth, you change the slide shown in the window and the story the slides collectively tell. Weeding and Winnowing: Deaccession Plan A by Paula Horrigan was inspired by the artist’s own attempts to scale back her slide collection. Joni M. Palmer’s design was inspired by her grandmother’s quilts. 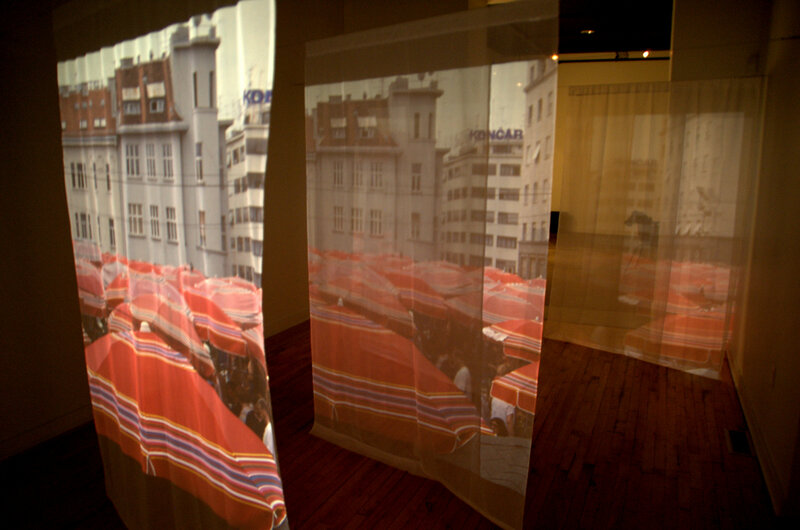 It cast a colorful shadow that was even more quiltlike than the work itself. 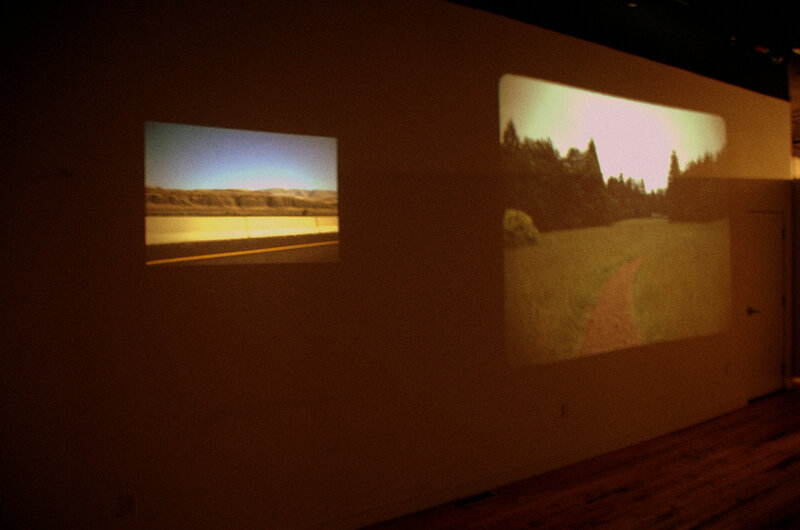 Joern Langhorst’s Framing Space and Time: Projections and Perceptions paired two kinds of images—those taken from a moving car’s window (left) and more intimate landscapes (right). 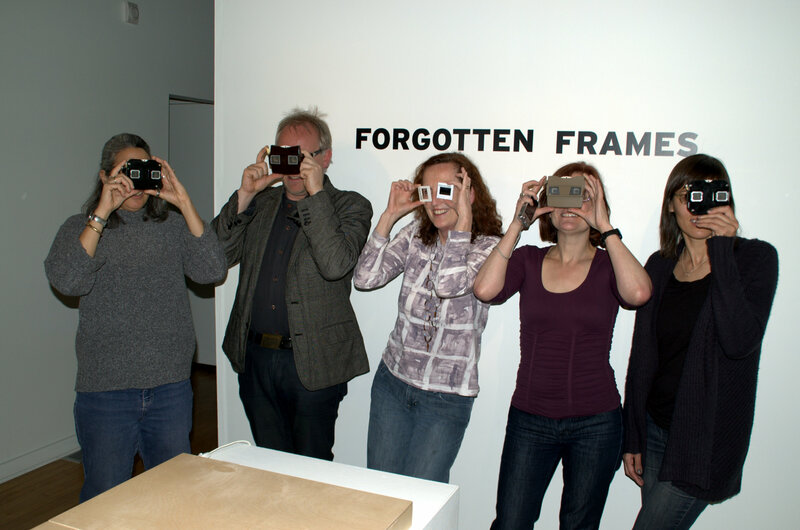 The artists play with Caroline Lavoie’s viewfinders.